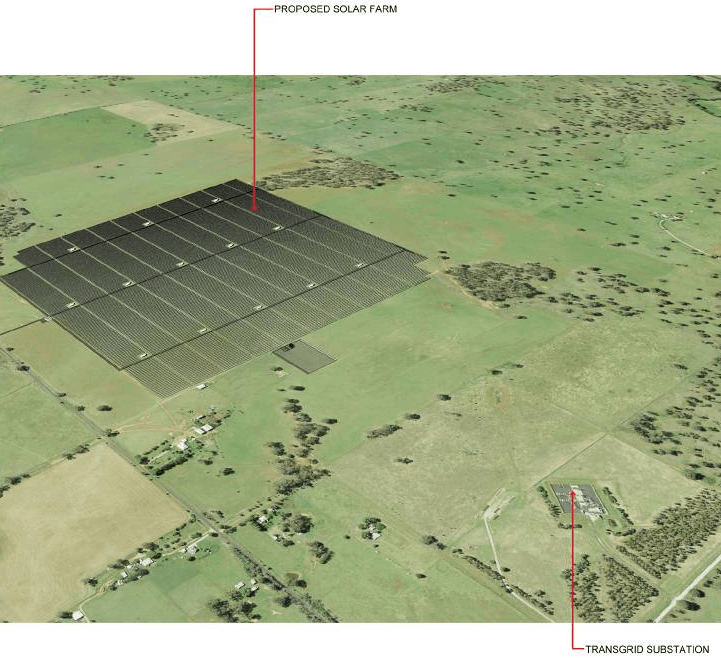 Some big news out of New South Wales today as a proposal for a 100 hectare Molong solar farm has been tabled. Molong is a small town in the Central West region of New South Wales, in Cabonne Shire. 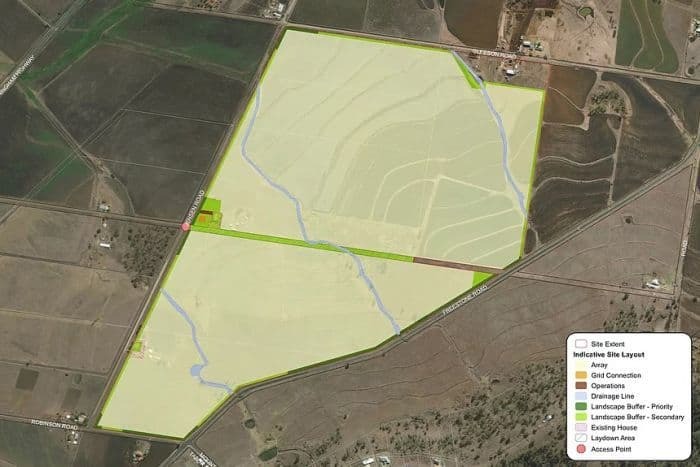 Terrain Solar have lodged a development application to build a 100 hectare solar farm around 3km north-east of Molong – right next to the Transgrid substation. The DA has been lodged with Cabonne Council and will be referred to the Joint Regional Planning Pannel for “assessment and determination”, as advised by Cabonne Mayer Ian Gosper. Gosper was quoted very positively about these new developments, going on record as saying “If the solar farm is approved, it will be great news for Cabonne and the environment”. Upon construction, the farm will generate 62k MWh / year (enough to power over 10,000 households) and will provide energy to Molong, Orange, and Dubbo. According to Terrain, once they receive development application, they hope to commence work on the solar farm by the end of 2017. Simon Ingram and Chris Wilson, the directors of Terrain Solar, said the project represents their “core business mandate, which is to work with landowners to bring renewable energy investment into regional areas.” The construction phase is expected to create 100 temporary jobs and ongoing maintenance of the farm will result in 3-4 permanent positions. Wilson said the full cost of the farm can’t be revealed yet due to competitive tender. The Molong solar farm would sit alongside a $109m solar farm which is due to start construction at Manildra, 20km west of Molong. The 48.5MW Manildra Solar Farm was approved last September and will be built by First Solar, who have over 17GW of PV power installed worldwide. The Manildra PV farm is slated to reach completion in 2018 and will provide energy to approximately 14,000 homes in the area.